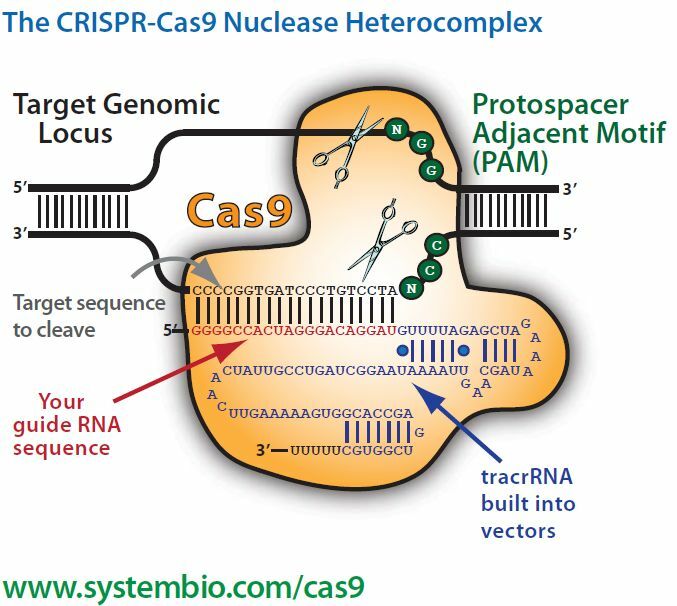 PROXENCELL LABORATORY has established experience in CRISPR Cas9 based Genome Editing Technology. Recent specific genome editing technologies allow us to precisely position deletions, modifications, and transgenes in the genomes of living cells. As a result, stable cell lines can be generated with controlled characteristics and predictable transgene functioning for the purpose of e.g. fundamental research, bioassays, and recombinant protein production. Using various sequence-specific meganucleases and TAL effector nucleases engineered to recognise integrated target sequences or natural genomic loci of mammalian cells (Jurkat, HEK, YT, THP-1, CHO etc. ), we have successfully generated various stable monoclonal cell lines expressing membrane-bound antigens, cell surface receptors, or monoclonal antibodies, to operate as target cells or effector cells in bioassays, or potential biopharmaceutical protein producers. The concept of sequence-specific genome editing is based on the fact that genomes are ordered and controlled mostly by sequence-specific DNA binding proteins, transcription factors. Recently, thanks to the accumulating information on DNA sequence recognition by such proteins, the principles of those interactions have been increasingly exploited to engineer tools for targeted genome modifications. Firstly, a nuclease is engineered to cleave the desired target sequence in the genome, creating a double-strand break (DSB). Secondly, the cellular mechanisms of DNA DSB repair, which are (i) non-homologous end joining (NHEJ) or (ii) homologous recombination (HR), operating in the absence and presense of a template DNA, respectively, are exploited to introduce the desired modifications at the chosen genomic location. 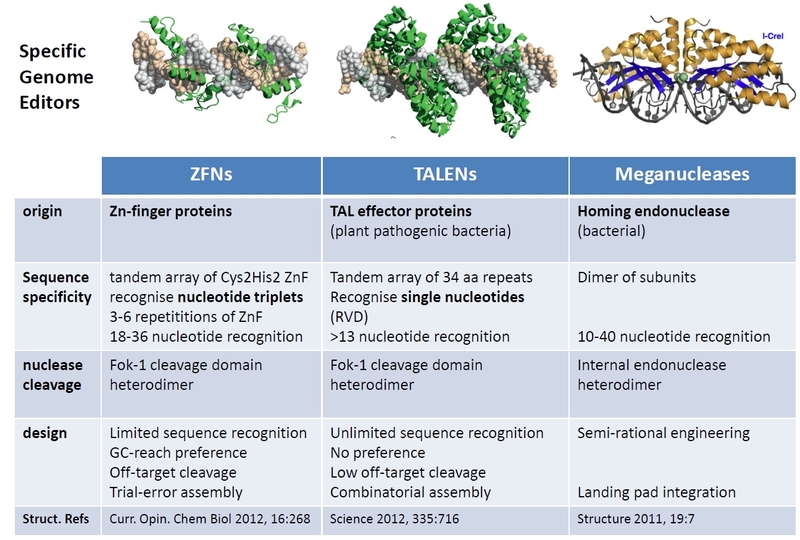 To date, engineered nucleases, which were successfully used in specific genome manipulations are restricted to Meganucleases at some extent, but mostly to Zinc-Finger Nucleases (ZFNs), and recently, to TAL-like effector nucleases (TALENs). 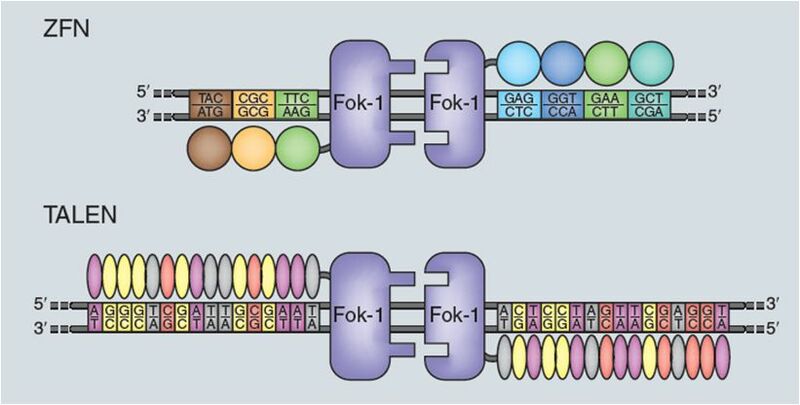 This cutting-edge technology, which is fully operational in both cell lines and primary cells, including oocytes, has made us able to rationally disrupt target genes at single nucleotide resolution (sure knock-outs) via the introduction of small insertions or deletions at the endonuclease TALEN) cleavage site in a cell line. Also, we were able to insert the gene of a recombinant cell surface antigen into precisely-defined location for efficient expression without harmful effects on normal cell functioning in a cell line of choice. In addition, we specifically integrated therapeutic antibody genes into a highly expressive and well defined genomic locus of CHO cells to achieve efficient protein production. Specific genome editing technologies are still in the initial evolutionary phase (it is true especially for TAL effector nucleases and some upcoming new approaches), that means, besides the substantial optimisation work one need to carry out, one also has to innovate a lot in the adaptation of the commercially available systems (e.g. Cellectis Bioresearch or currently the System Biology Division of Life Technologies) to the specific applications. Therefore, and as a result, while going along our genome editing routes, we were forced to implement and developed new technologies (i) to assess genome modifications at early stages of TALEN transfections, based on specific amlification and capture of modified sequences for more accurate quantification and sequencing, (ii) generally applicable strategies and tools for the detection of, and direct enrichment for assisted KO cells using e.g. flow cytometry, and (iii) new approaches to map TALEN specificity in vivo in automated and HTS assays. Most promisingly, we are keen (iv) to device and test some new/proprietary genome editing approaches, which are completely divergent from the current state of the art. Research and development collaborations are offered using conventional vector technologies and site-specific genome editing technologies to generate stable cell lines. for research, bioassay, and protein production.